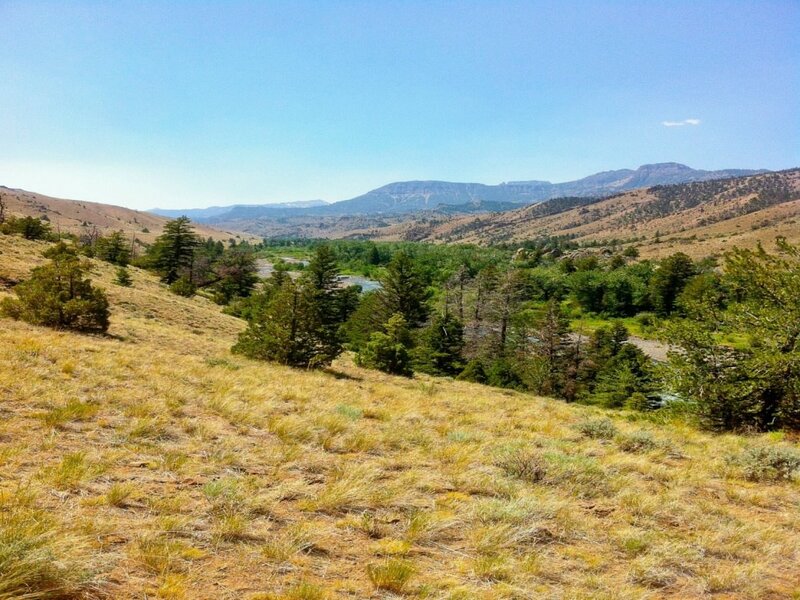 Elk Fork is popular with hikers, horseback riders and hunters. It’ll take you into the mighty Washakie Wilderness, one of the most wild sections of land in the lower 48. At just under seven miles in length, this out and back trail offers a great way to experience the Absaroka Mountains and the Greater Yellowstone Ecosystem. It’s a relatively low elevation trail, opening up earlier in the spring than some other local hikes. In summer it can be downright toasty. 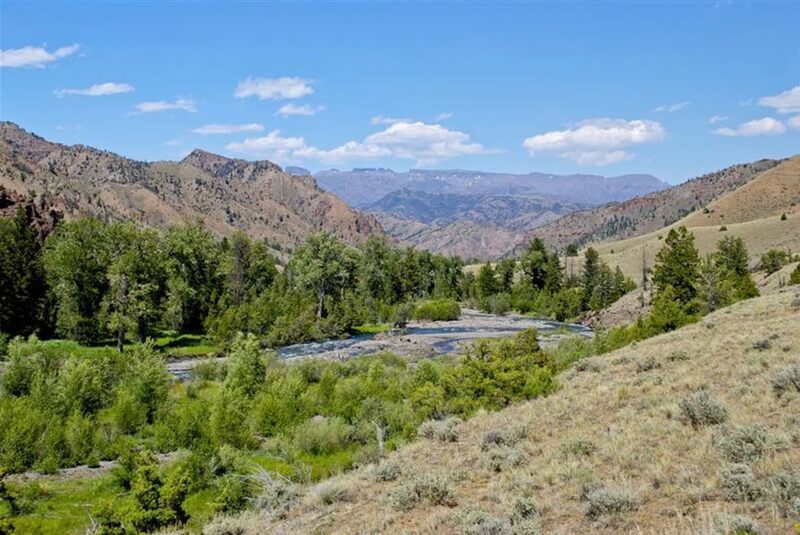 Elk Fork is one of the major creeks flowing into the North Fork of the Shoshone River. This trail is a relatively easy hike since it follows the drainage, but there are some short, steep sections. You’ll traverse through pine and fir forests but get some great views of the higher peaks. The wide trail is well-maintained so it makes a good day outing for families, even those with young children. The trail hugs the western facing slope of the hill so it can be sunny and warm especially during late summer. Access to Elk Fork itself is limited but there are several side paths down to the water if you need to cool off. This portion of the trail ends at the first significant creek crossing, 3.3 miles from the trailhead. Your chances of seeing wildlife are high on this trail, including mule deer, elk, bighorn sheep and even black or grizzly bears. If you want, you can continue on the trail further into the Washakie Wilderness and on to the Teton Wilderness. Be prepared for two fast moving river crossings. This is a favorite trail for locals due to the views and moderate elevation gain. The Elk Fork campground is open year round so you won’t have to worry about hopping a gate to get to the trailhead. If you’re nervous about being in the wilderness, the Elk Fork trail is a good place to get acclimated. You can test out new equipment, introduce the kids to hiking and use it as a good warm up for the hiking season. Also, the openness of the trail lets you see around bends so there are fewer chances of startling any wild animals that might be out and about, such as bears. From Cody travel about 28 miles west, past the Forest Service Wapiti Ranger Station. The ranger station is manned by volunteers during the summer and a great place to get current information. Turn left (south) at the Elk Fork Campground. Drive through the campground to the south end past the horse trailer parking lot. There is plenty of parking for cars here, but you can also park with the horse trailers. The trail is part of the Shoshone National Forest so leashed pets are permitted. Carry bear spray and know how to use it. Water and restrooms are available at the campground during the summer season. This is a very popular campground and trail for hunters in the fall so wear reflective clothing.